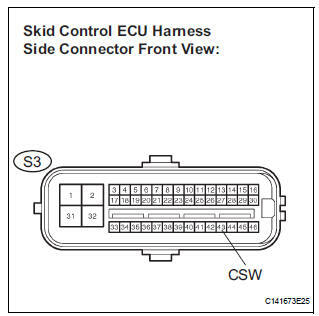 The skid control ECU is connected to the combination meter via CAN and multiplex communications. 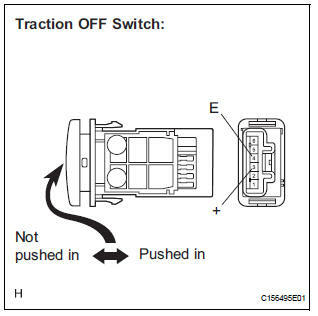 When the traction OFF switch is turned on, the TRAC OFF indicator light will come on (for 2WD model). NOTICE: When replacing the brake actuator assembly, perform zero point calibration (See page BC-70). 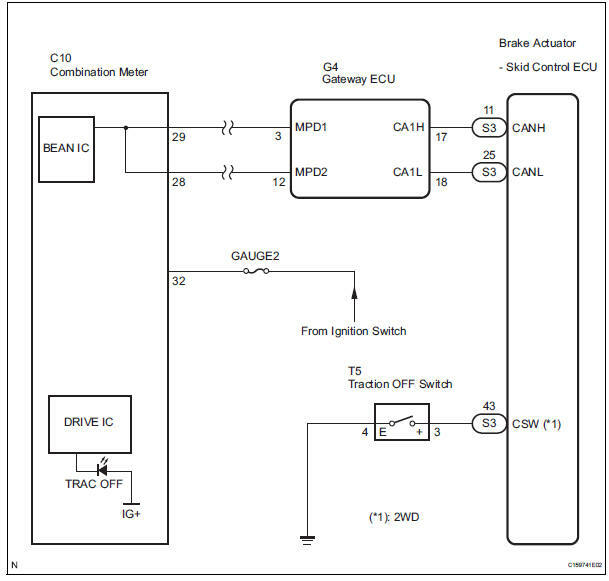 (a) Check if the CAN communication system DTC is output (See page CA-17). (a) Check if the multiplex communication system DTC is output (See page MP-14). OK: The connector is securely connected. (b) Perform Active Test of the combination meter (meter CPU) using the intelligent tester (See page ME-19). OK: The TRAC OFF indicator light turns on or off in accordance with the intelligent tester. HINT: If troubleshooting has been carried out according to the Problem Symptoms Table, refer back to the table and proceed to the next step before replacing the part (See page BC-79). (a) Disconnect the traction OFF switch connector. HINT: If troubleshooting has been carried out according to the Problem Symptoms Table, refer back to the table and proceed to the next step (See page BC-79).